Sarasota Municipal Auditorium, 801 N. Tamiami Trail, US #41, Sarasota, Florida 34236. Hours were Saturday 9 am to 5 pm and Sunday 10 am to 5 pm. Admission was $5.00, Student with valid ID $1.00, children under 8 are free. “An Explosion of Orchids,” the theme for Sarasota Orchid Society’s 2016 Exposition, provided a showcase for orchids and orchid-related accessories for purchase from commercial orchid growers and artists from across the state of Florida, including Art Stone Orchids, Chapman’s Orchids, Florida SunCoast Orchids, Krull-Smith Orchids, Louis Del Favero Orchids, Mac’s Orchids, Odom Orchids, Palmer Orchids, Phelps Farm Orchids, Plantio la Orquidea, Smiley’s Orchids, Hicks Orchid Supplies, Your Farm and Garden, Stig Dalström Botanical Art, Cora Sanders Art, Hang-a-Pot, Carol Marcus Epperley Prints, Robin Parson’s Orchid Jewelry, Lora Thomas Ceramics, and Patty Blair Baskets. The Sarasota Garden Club was on hand to provide information. The Sarasota and Venice Area Orchid Societies installed lovely 100 sq. ft. displays of orchids for viewing and photography. Throughout the two day expo, visitors had the opportunity to interact with the growers, purchase orchids and related items, and immerse themselves in the beauty of orchids. 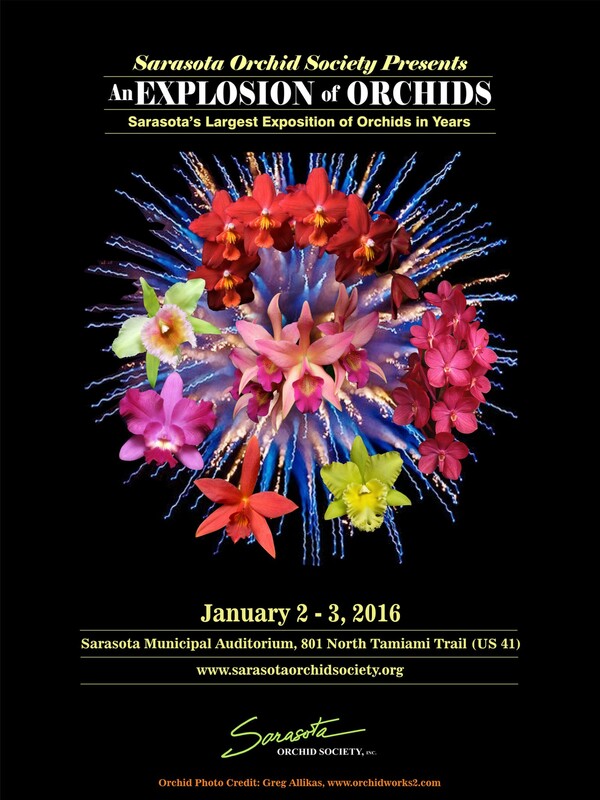 The Sarasota Herald-Tribune and Your Farm & Garden Supply are proud sponsors of the Sarasota Orchid Society’s Expo & Sale!